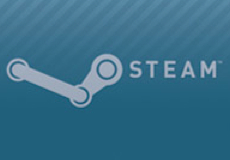 There are only 300 of Valve’s Steam Machine gaming PCs, and they’re being shipped to beta testers. But Valve’s production of the device will end there — this is just a prototype. Third party-manufactured machines will be revealed in January at the next Consumer Electronics Show (CES) in Las Vegas, during which consumers will get more information about Steam’s specs. What we know now is that the device will have high- and low-end models. Valve designer Greg Coomer told Engadget the options will be “optimized for different features,” including everything from an inexpensive streaming box to an Intel i7/GeForce Titan GPU-powered supercomputer. The prototype, it says, falls somewhere in between those two options with an Intel i7 CPU and GTX 780 GPU. Engadget notes that another bonus of the Steam prototype are the “swappable” parts, and that an optical drive is the only thing it’s missing.